Layers of pasta, meat and cheese. 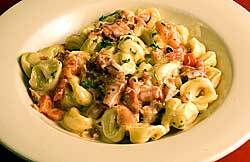 Zesty blend of ripe tomatoes, mushrooms, garlic & herbs. 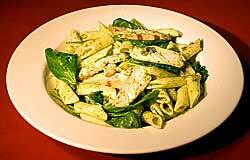 Penne pesto with grilled chicken and spinach. Sun-dried tomatoes, mushrooms in Alfredo sauce. Served with our own marinara sauce, garlic & herbs. 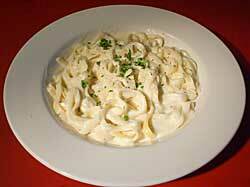 Any pasta of your choice with your choice of sauce.